On a crisp, clear January day in Santa Fe, New Mexico, Lucinda Marker and her husband, John Tull, stepped inside an Airstream trailer that StoryCorps converted into a mobile recording studio. Marker and Tull were there to interview each other for an audio memento, to reminisce and talk about significant moments in their shared lives, especially about the time they were gravely ill with the bubonic plague during a vacation in New York City. A StoryCorps facilitator greeted them, explained how the recording process worked, sat them down on either side of the kitchenette table, adjusted their microphones and — when the couple was comfortable and ready — began the recording session. As Tull and Marker chatted over the next forty minutes, the facilitator, sitting off to the side, jotted down notes and keywords correlated to time-code points in the recording. The couple talked about how in 2002 –- in post-9/11 New York — their illness was suspected as a possible act of bio-terrorism and about how Tull slipped from flu-like symptoms into a coma that lasted almost 90 days. In his rich baritone, tinged with a southwestern accent, Tull sounded John-Wayne-tough as he described possible reasons for why his spirit hung onto life. As they wrapped up their conversation, the tone of their voices grew tender as they talked about the healing power of their love for each other and how it helped them endure their ordeal. After the session ended, the facilitator took photos of the couple and gave them CD copies of their interview. Marker and Tull signed release forms, left the trailer and went on their way. Then the digital preservation began. Staff processed the audio recording and the documents related to the interview and then temporarily stored the entire package –- what StoryCorps calls the interview record — with other interview records. Marker and Tull’s story began a curated journey that would take it from the trailer, cross-country over the Internet to StoryCorps headquarters in Brooklyn, NY, for processing and archiving, and later by hard drive to the American Folklife Center at the Library of Congress and into the Library’s digital repository. 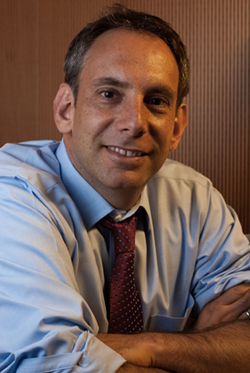 Dave Isay, award-winning radio documentary producer and MacArthur Fellow, founded StoryCorps in 2003 to give the general public an opportunity to tell and record their personal stories. One of the guiding principles of StoryCorps, a principle embodied in all of Isay’s works, is that each person has a story to tell and every voice matters. Facilitators are present during the interviews to help but the facilitators don’t actually conduct interviews unless people ask them. Mostly the interviews consist of friends or loved ones conversing with each other. As for what they talk about, they often come in with some topics or ideas in mind or they improvise. StoryCorps also offers a list of suggested questions. The volume of StoryCorps interviews is much too large for staff to play back and review in detail, so during the recording of each interview, facilitators play a crucial front-line role in summarizing the interview content and adding keywords in real time. Staff are also vigilant for audio gems, listening for recordings that are especially interesting; if an interview stands out, staff will alert StoryCorps headquarters that the interview might be a good fit for a broadcast, either nationally on NPR or on a local station. The end result for broadcast is a three-minute extract from the forty-minute interview. 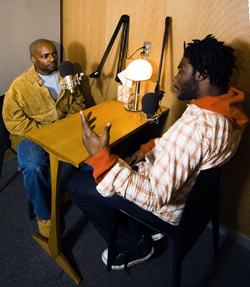 Most people grant permission for StoryCorps to archive the interviews and to share them for radio broadcasts, animations, research and with partner organizations. Some interviews are so colorful that StoryCorps enhances them with animation. 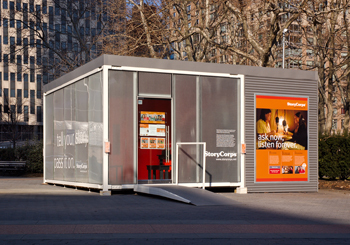 StoryCorps currently has stationary, soundproof recording centers in Atlanta, San Francisco and Chicago. 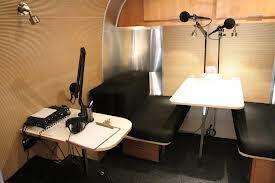 They also have a traveling mobile recording unit, the one Marker and Tull used, and a door-to-door service. StoryCorps is staffed with professional archivists, librarians, engineers and information technologists to ensure that the interviews are properly conducted, recorded and archived in accordance with the best technological and institutional practices. Lower Manhattan StoryBooth at Foley Square. Photo: Dalton Rooney. Isay had the foresight from the beginning to only record the interviews digitally and, realizing the unique value of the content, he arranged for the Library of Congress’s American Folklife Center to archive the ongoing collection. Bert Lyons, Digital Asset Manager at the Library of Congress, said that StoryCorps’ collection represented a significant milestone for the Library because it is one of the earliest 100% born-digital collections at the Library of Congress. StoryCorps staff digitally record the interviews as WAV files at 44.1 kHz 16-bits. They take individual and group digital portraits of the participants and then they scan the facilitators’ notes and the interviewees’ release forms to PDF files, assign identifiers to all the related files and bundle everything into one interview record. All interview records go to StoryCorps headquarters for processing and archiving. 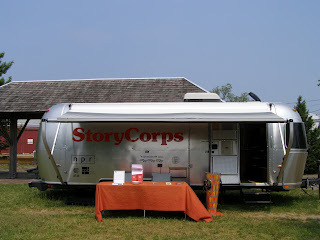 At remote StoryCorps’ recording stations and mobile recording units, staff regularly upload batches of interview records to headquarters’ servers. At the time of each transfer to the Library of Congress, they run checksums to document the integrity of the files — fixity checking — and package the interview records in BagIt format. StoryCorps headquarters staff process interviews around the clock and convert copies of the WAV audio files to MP3s for online access. They store their data in customized databases and replicate everything on backup servers. Then every three or four months, StoryCorps loads a hard drive with about 1TB of interview records and ships it to the Library of Congress. At the Library, AFC staff members transfer the interview records off the drive and onto a server, and then conduct an inventory of the contents using the Library’s content management system, which they call the Content Transfer System. The CTS checks the StoryCorps files for viruses, runs checksums against the BagIt file manifests to verify that the content is intact (kind of like reviewing an invoice to confirm that what you received is the same as what the invoice says was sent) and then moves the files to their final destination on a tape archive. The Library keeps backup copies of all its digital collections onsite and another copy replicated at a remote geographic location. The Library maintains a certain amount of its own metadata about the StoryCorps files it archives but the descriptive metadata associated with the interview records comes from StoryCorps’ own databases. The Library also archives copies of those databases as well as StoryCorps’ software code. The Library of Congress and StoryCorps work closely together and hold regular meetings in which they explore collaborative ways to improve the process and refine the archive. It is a tight, efficient archival partnership. “We talk about things like how to improve controlling subject headings,” said Lyons. “Even things like how to improve tagging within their systems and how to improve description and so forth. Their adoption of the BagIt standard has been really useful. It moves the generation of fixity checksums that much closer to the moment of creation. It’s also taken some of the computing responsibility for inventory off of us and puts it on their computers. That makes life a lot easier.” Lyons said that one of their future collaborative goals is to try transferring the collection shipments over the Internet. StoryCorps continually explores ways to reach out, to make its services available and digitally preserve new voices for posterity. They have a range of initiatives, such as the Military Voices Initiative for post-9/11 veterans, active-duty service members and their families; StoryCorps Legacy for people with serious illnesses; StoryCorps Historias for Latinos; the Griot Initiative for African Americans and the September 11th Initiative recording the stories of people affected by the World Trade Center bombings of September 11, 2001 and February 26, 1993. 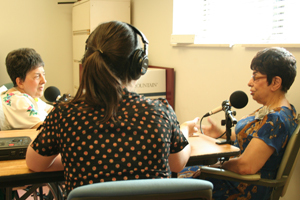 Over the past year, with funding from the IMLS and in collaboration with the American Library Association, StoryCorps provided grants to ten pilot libraries across the U.S. to help them develop and implement a StoryCorps model of oral-history gathering for their communities. The digital interviews gathered as part of this program — called “StoryCorps @ your library” — will end up at the Library of Congress. The essence, the “it,” at the heart of StoryCorps — the digital recordings of almost 100,000 people telling personal stories — is such a new type of cultural treasure that, with the help of other visionaries, StoryCorps has been exploring some possible uses for its vast audio library and its associated metadata. On April 30, 2012, StoryCorps held an advisory summit, funded by the Alfred P. Sloan Foundation, titled “Re-Imagining the Archive: New Approaches to Data-Driven Public Programming and Research.” Participants included data scientists, statisticians, archivists and librarians, oral historians and linguists. Millington said, “We brainstormed about ways this collection could be used in innovative ways, ways that benefit communities and ways that could serve as guides to other similar collections.” Long after the event, StoryCorps is still testing possible applications and solutions generated by the summit. A model use for their collection is their collaboration with linguistic researchers from Oregon Health Sciences University and MIT. “Our partners at MIT’s Lincoln Laboratory studied African-American Vernacular English,” said Virginia Millington, StoryCorps’ recording and archive manager. “Researchers took a representative sample of StoryCorps interviews and subjected them to computer analysis, specifically focusing on speech and dialect patterns.” One of the by-products of the research is that the Lincoln Laboratory created transcriptions of the interviews that they used, which, in turn, StoryCorps added back into their own interview records. This is significant because StoryCorps does not currently have the resources they need to transcribe all of the interviews in their collection. 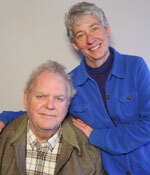 John Tull and Lucinda Marker. Photo courtesy of StoryCorps. Any profile of StoryCorps always has to come back to the precious intimacy and authenticity of each recording, about people opening up about how they feel and what they think about. The value of each interview increases immeasurably when it becomes part of an archive of voices. Each story becomes an element of history, representative of a particular time, place, person and event, to be appreciated on its own and as part of a larger cultural mosaic. StoryCorps is a new species of cultural institution that could only have emerged in the digital age. The staff of archivists, technologists and visionaries treat each interview record not only as a brief moment in someone’s life and a valuable cultural artifact, but also as a digital object that can be made searchable and relational, and therefore of potentially greater significance to future generations of researchers, in ways we cannot yet imagine. This is a syndicated post. Read the original at The Signal: Digital Preservation 2013-08-01.